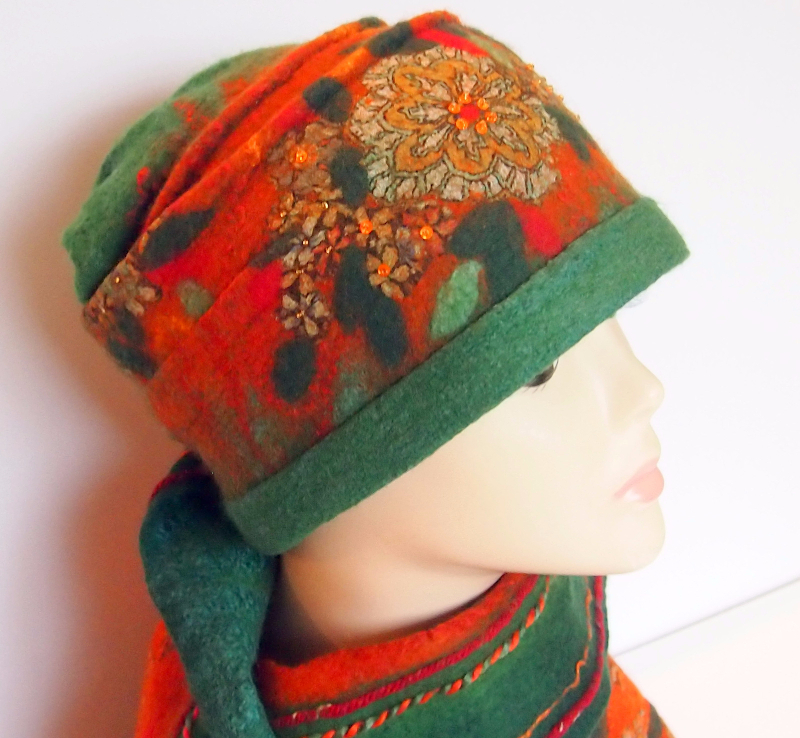 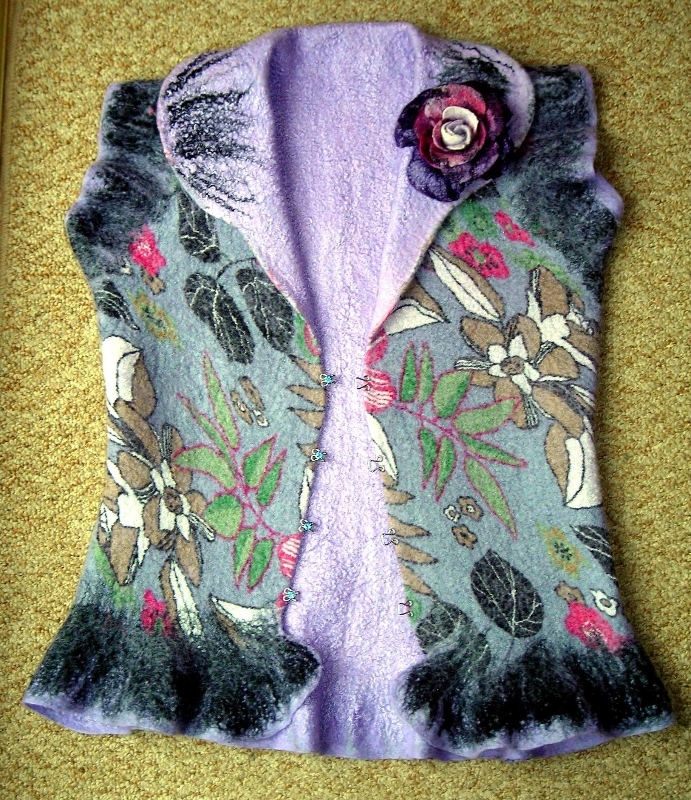 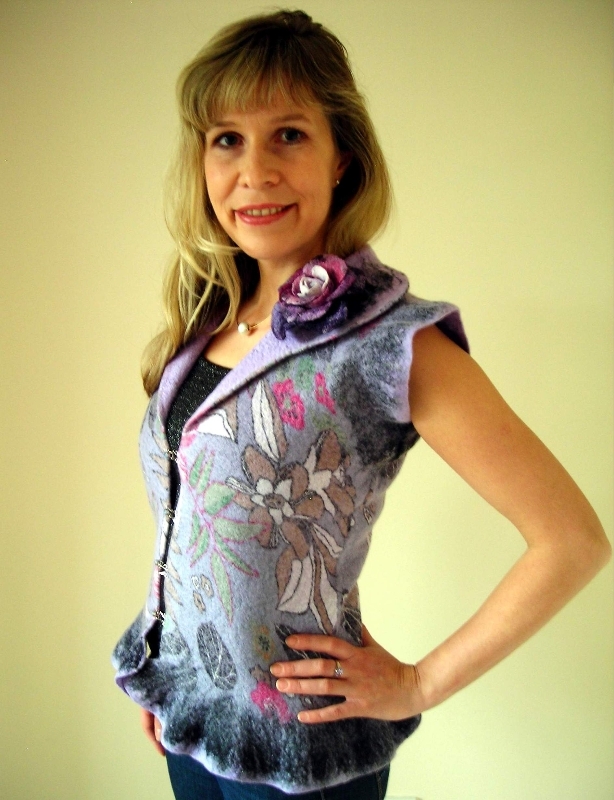 Individually designed bespoke Felt Clothes and Accessories made from Felting Merino wool by a professional Textiles Artist Raya Brown from Worcestershire. 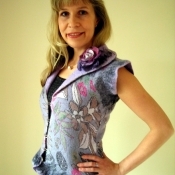 Individually designed bespoke seamless felt clothes and accessories made by a professional Textiles Artist and a Felt Maker. 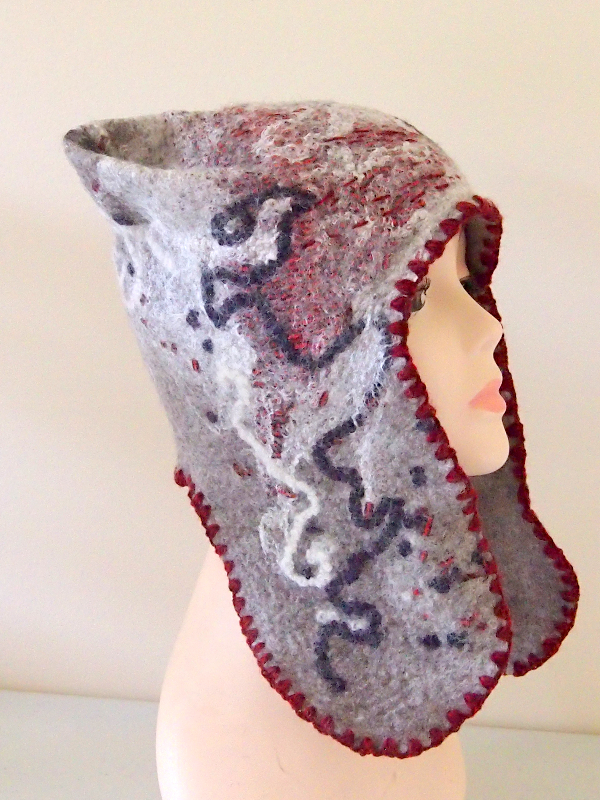 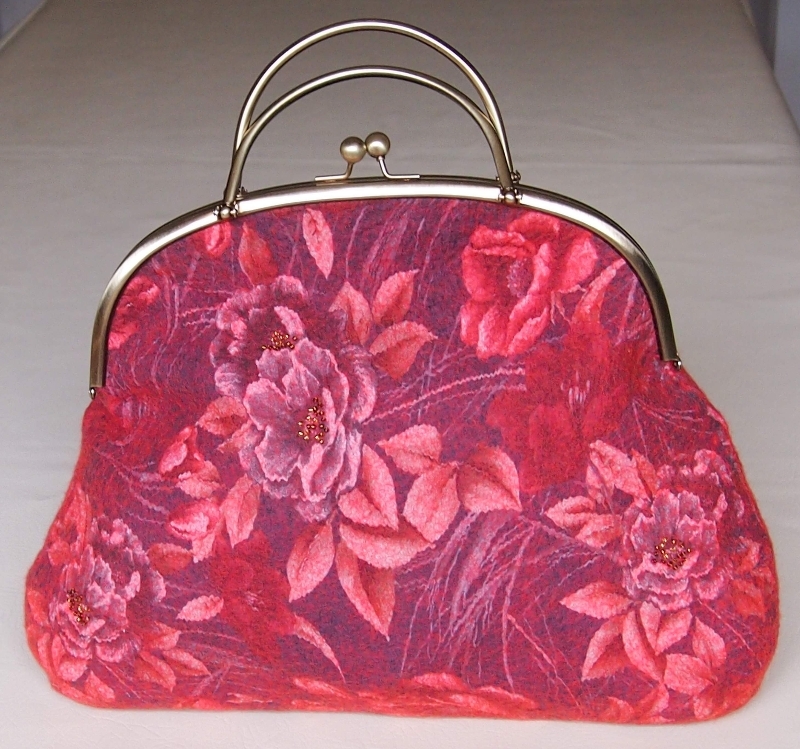 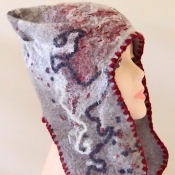 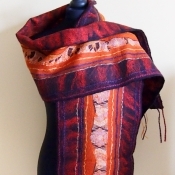 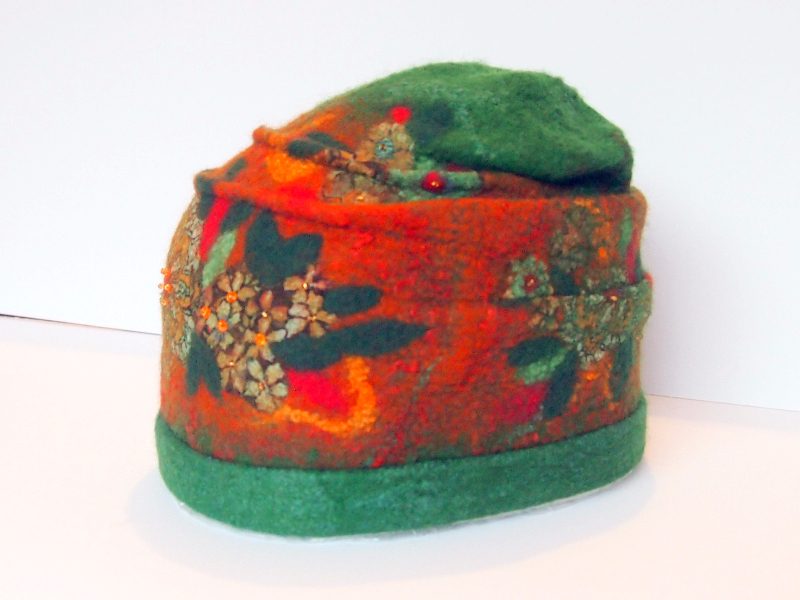 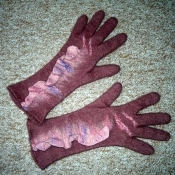 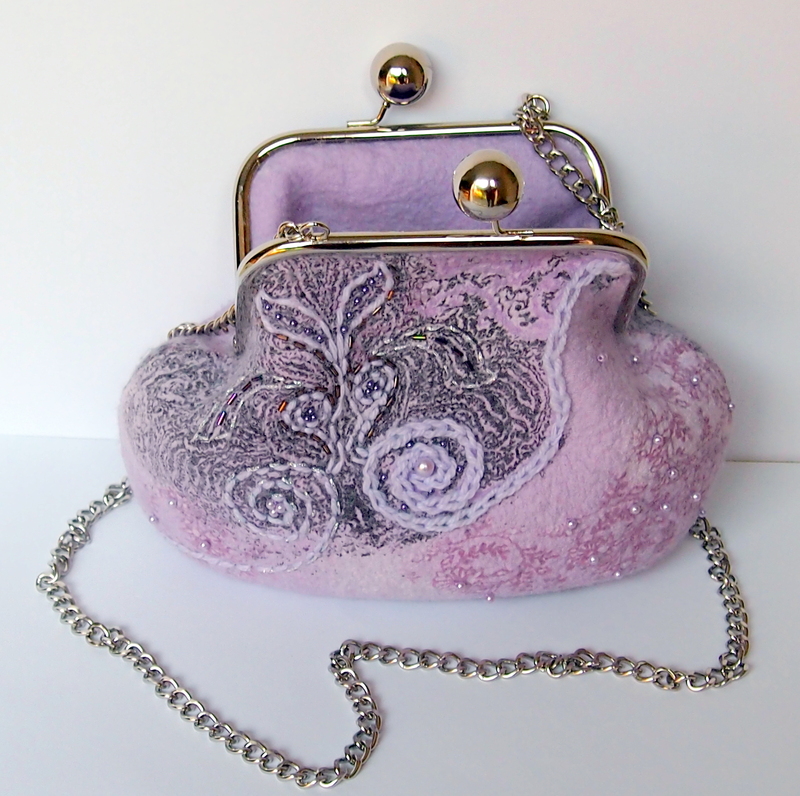 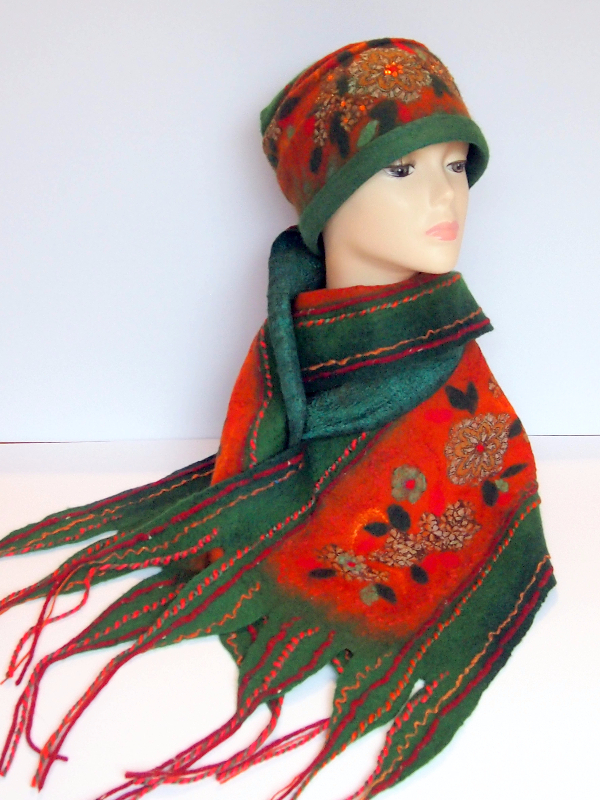 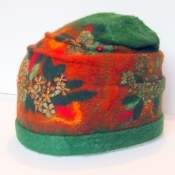 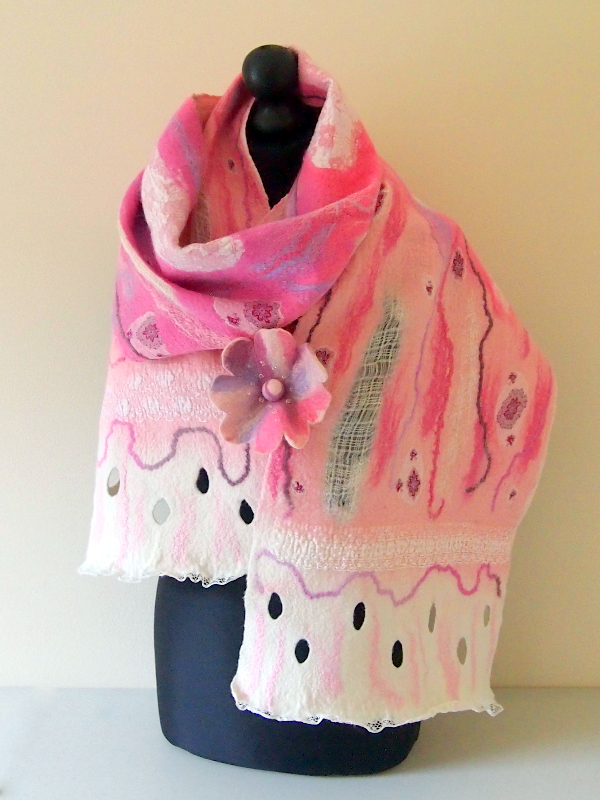 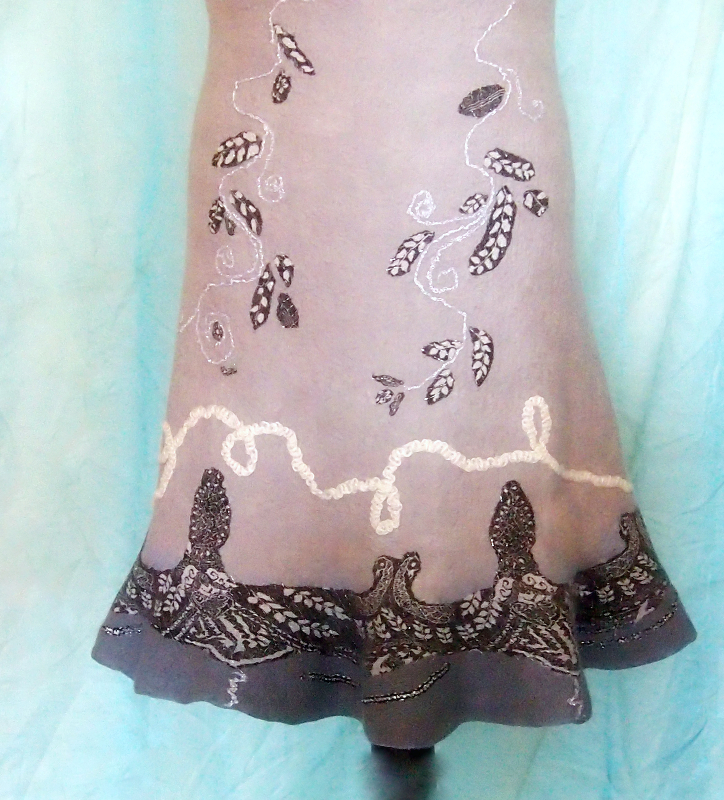 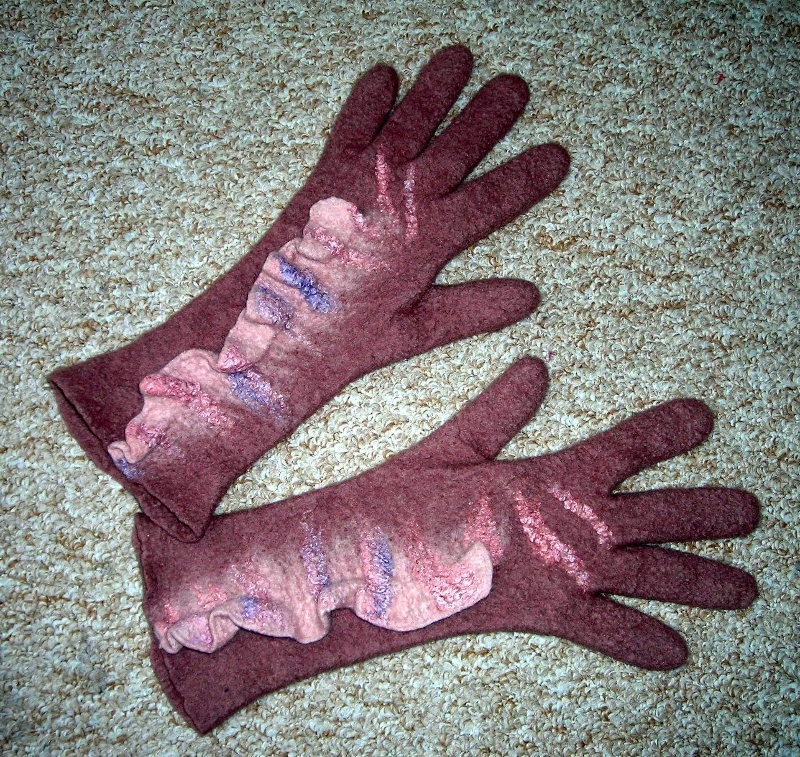 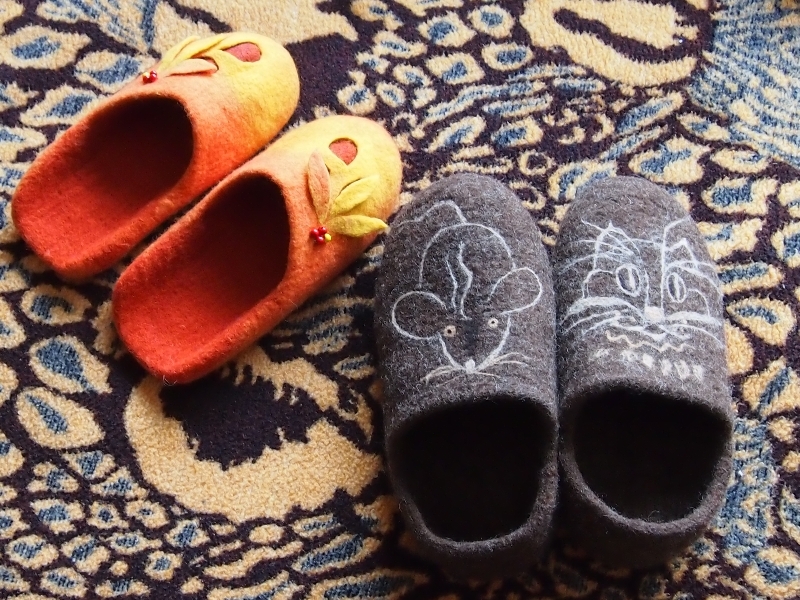 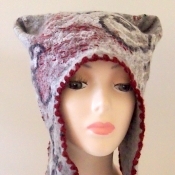 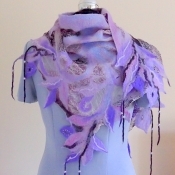 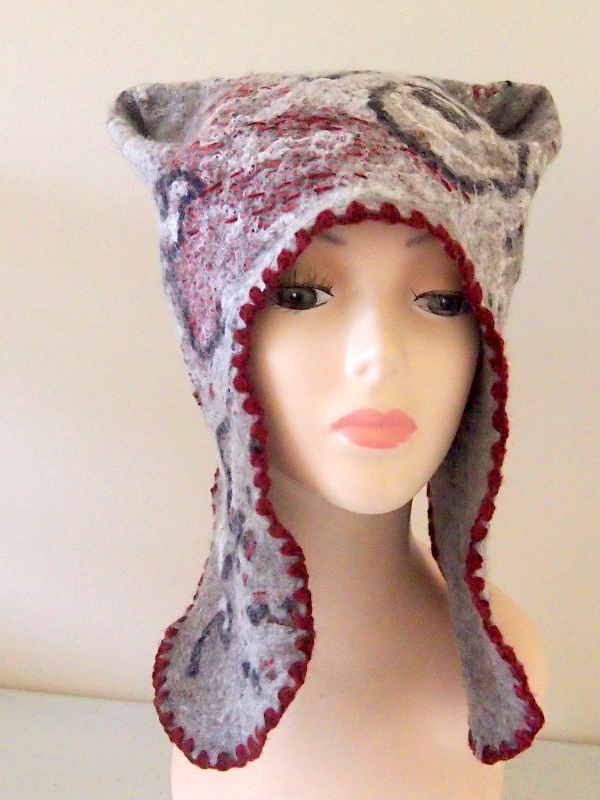 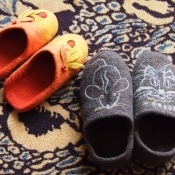 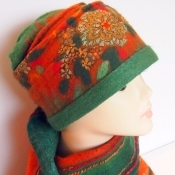 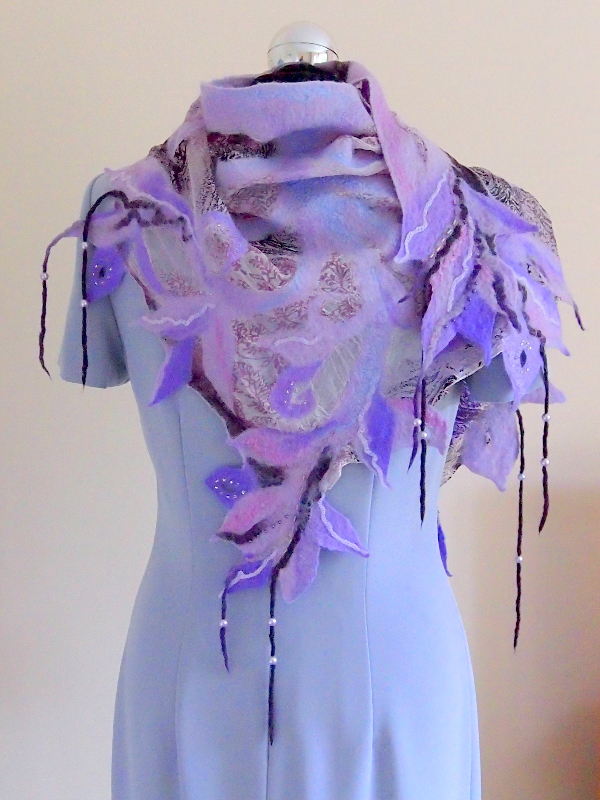 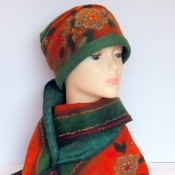 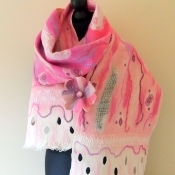 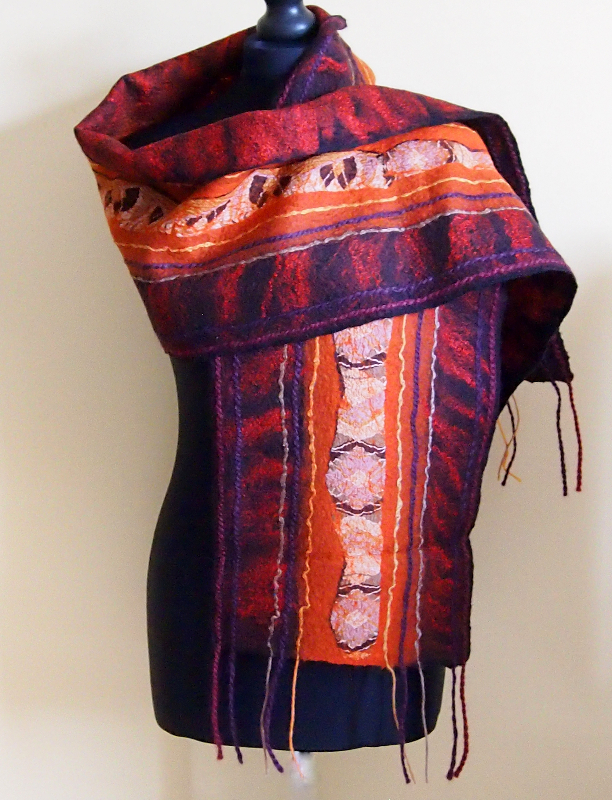 Most of these items are made from 100% fine merino felting wool and decorated with natural fibres and silk threads. 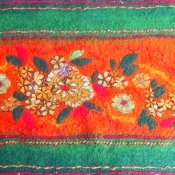 Various luxury fabrics are used to add lovely textures and unique patterns to the work. 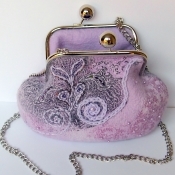 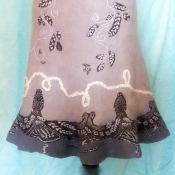 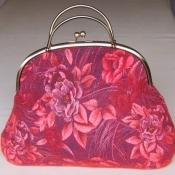 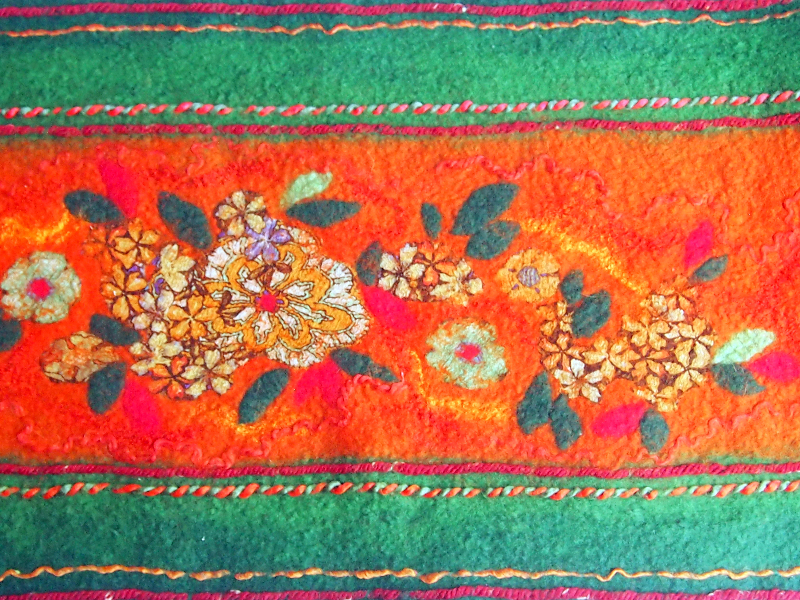 Some items are embellished with hand embroidery and beads. 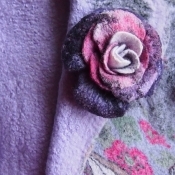 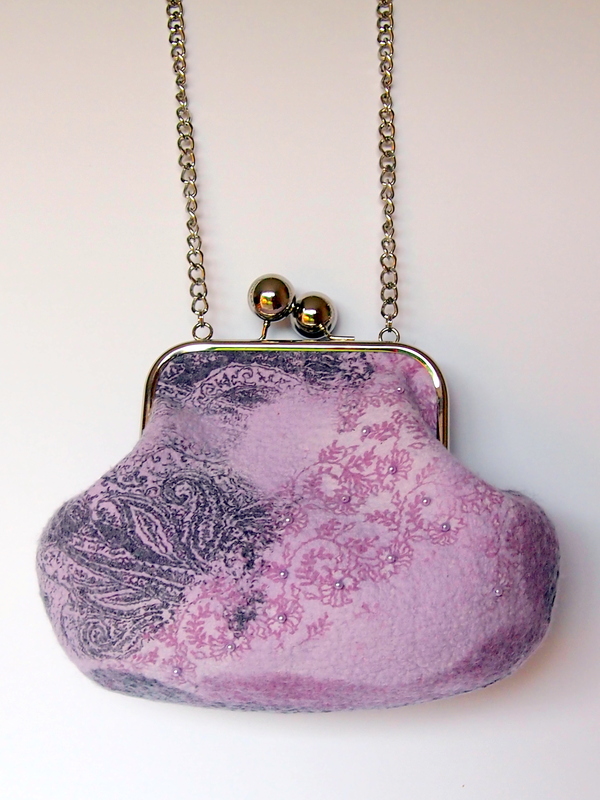 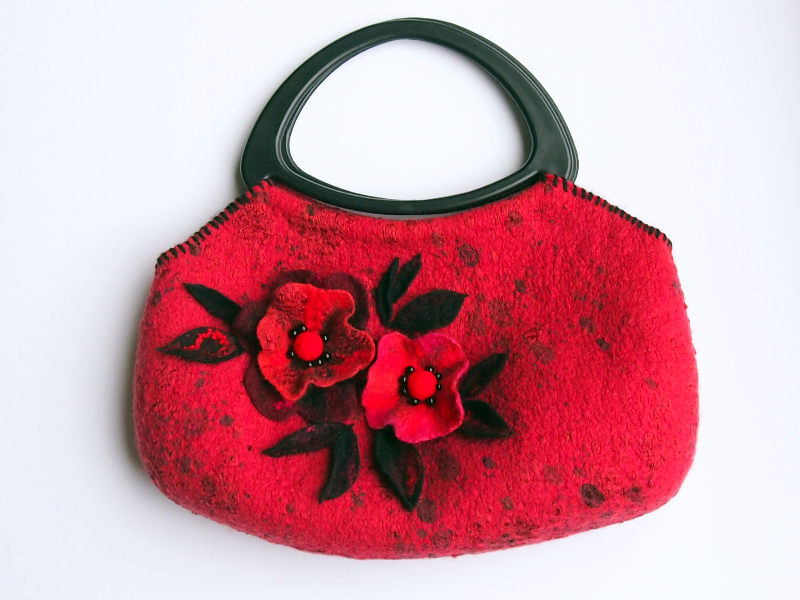 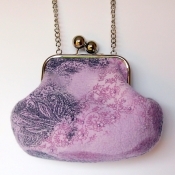 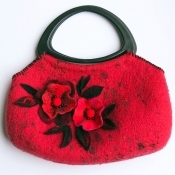 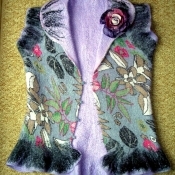 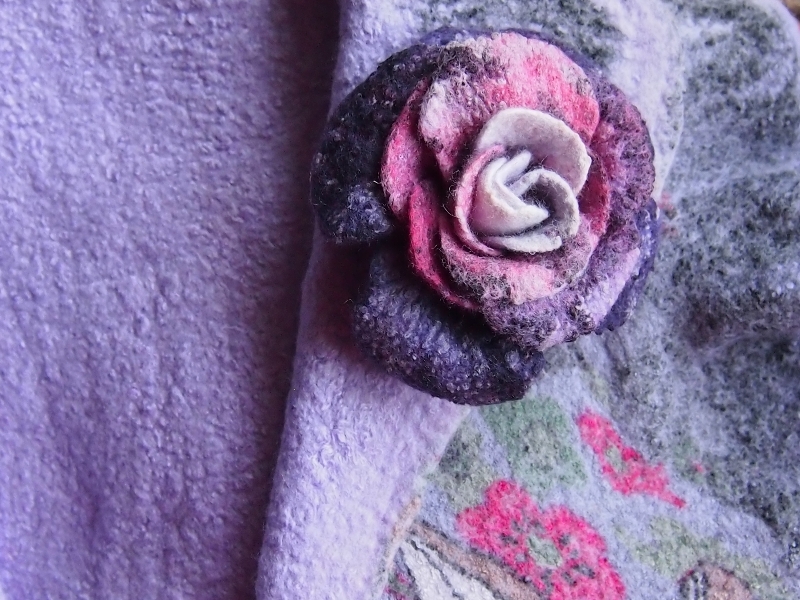 These one-off felted pieces will complement any outfit for any occasion. 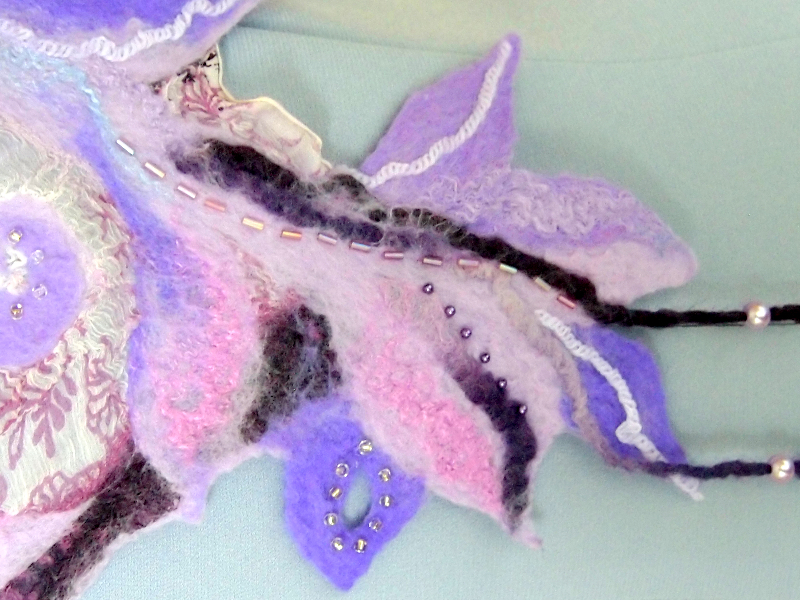 You can order or buy a beautiful unique felt gift from The Magic Wool Art and Craft Studio by contacting Raya via contact page. 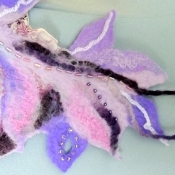 To find out more about techniques and materials used to create this work or to make a beautiful item yourself please visit our Workshops page.